IFM is a uniquely specialized facilities management company that helps maximize the return on investment by improving the functionality and reliability of industrial, intermodal and retail facilities. Treat all people fairly, honestly, and with respect. Uphold the highest standards of ethics and integrity. Our goals make the difference: to be the best, to strive for excellence, to stand for quality. For that enduring commitment, we stand apart. Our mission is to help our clients increase production reliability and lower maintenance costs through the strategic management of equipment and skilled labor. Our focus is to alleviate the burden of managing numerous contractors and facilities while utilizing many forms of communication to keep our customers informed. go the extra mile to exceed our customers' expectations. 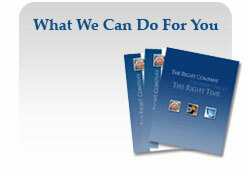 Selecting a quality maintenance company for your facility is an important decision. Our approach is simple. IFM believes in establishing long term relationships built on a solid foundation of superior services, expertise, communication and innovative solutions. When you contract with IFM to provide your facilities maintenance you will notice a dramatic difference in the appearance of your facilities, right from the start. From the first day of service, you will notice a level of personal care that reflects our philosophy of “earning your business every day.” Our attention to detail, continuous research and development of our methods, coupled with our ability to offer superior service at affordable rates enables us to be effective in many sizes and types of industries. Small and large office buildings, intermodal transportation and shipping complexes, pipeline manufacturing facilities, retail outlets, and department stores are among the many types of accounts we service. A consistent timeline of repeat customers is proof that when it comes to quality, value and responsiveness, IFM is the company you can count on.